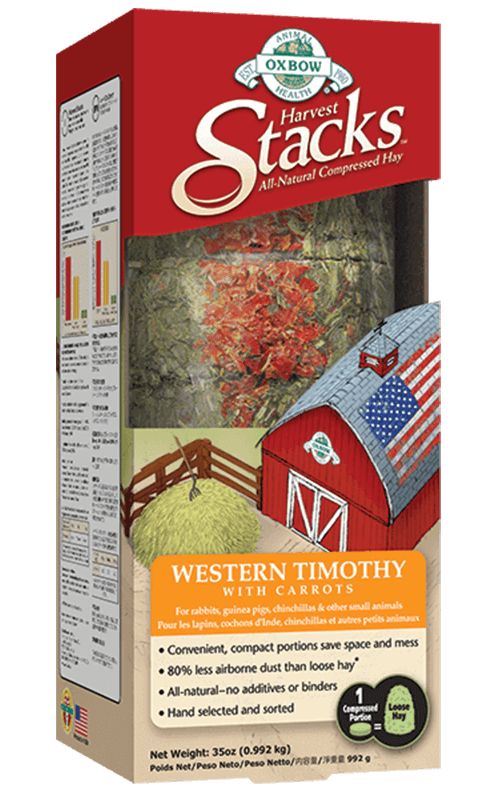 Remove the desired number of Harvest Stacks portions from package. 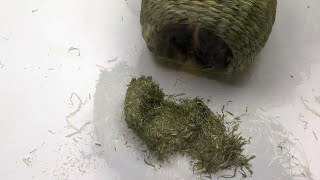 Pull on opposite sides of the portion until it loosens to form an S shape and place in your pet’s habitat. 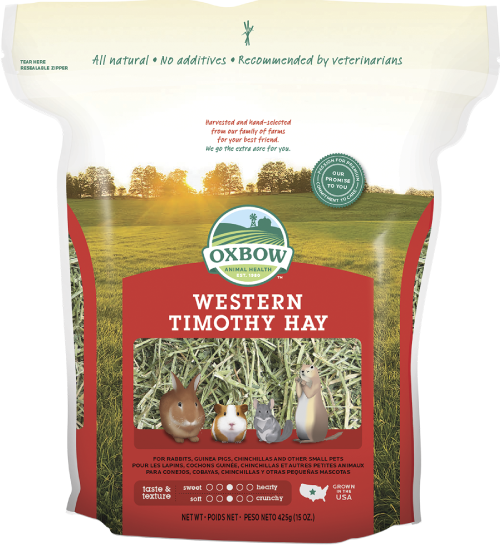 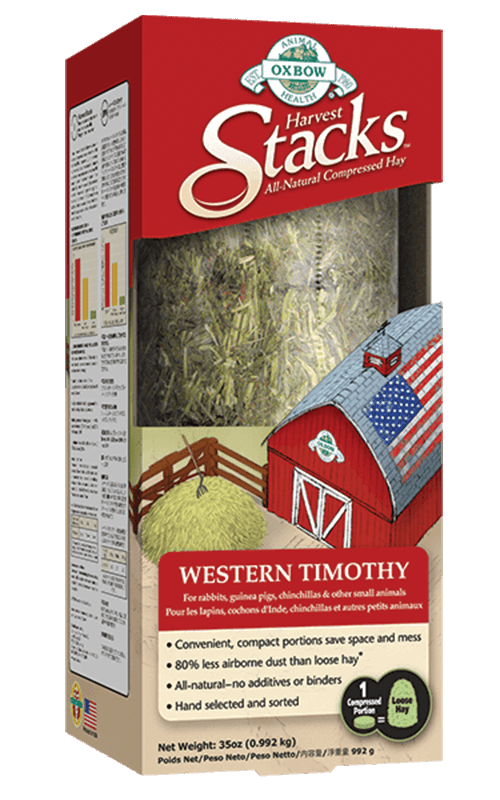 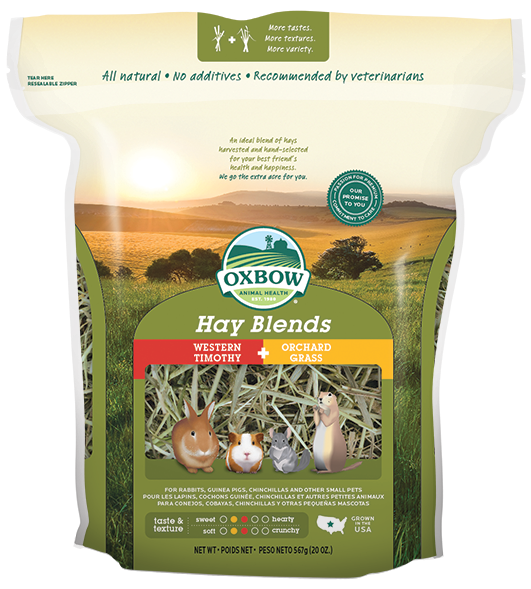 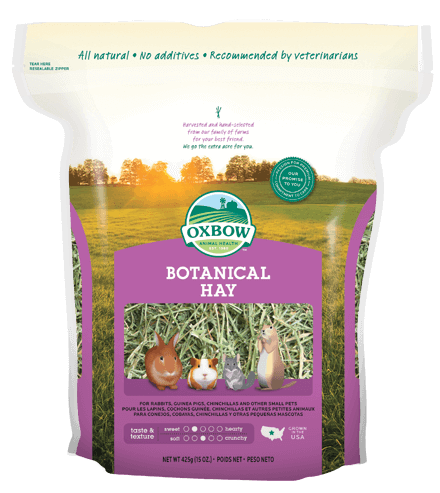 The unique shape and texture of Harvest Stacks encourage interaction between your pet and the hay.